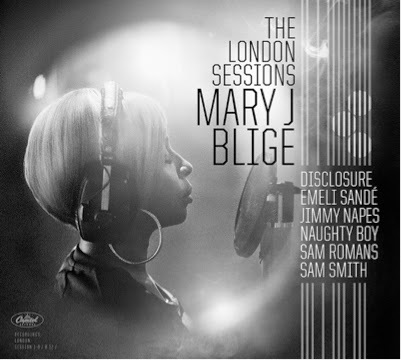 Mary J. Blige Preares New Album called "The London Sessions". It has been awhile since we have heard anything new from MJB, well the drought is about over as she prepares to release a new album of material entitled "The London Sessions". She is going to have features from Sam Smith, Emeli Sande', Disclosure and others, hence the title "London Sessions" as all of the mentioned artists are from England. R&B is undergoing a resurgence in the UK, as it continues to fall off a cliff in the states. I think this sound is going to fit well with Mary and we can't wait to hear it. "It is all about the London Music scene and I'm so excited to have been part of it, to record my album", Said Blige. Check out the preview below. You will be able to pre-order the new CD on Sept. 23.